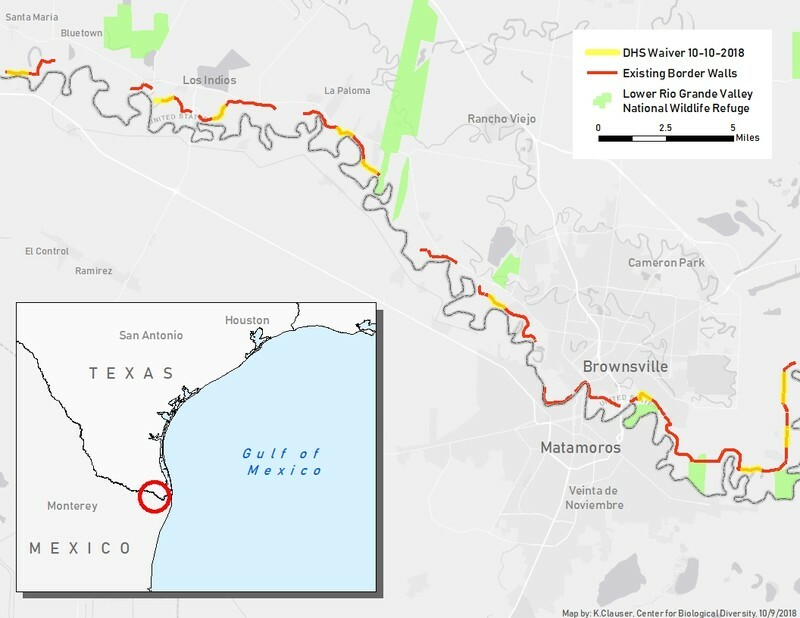 RIO GRANDE VALLEY, Texas— The Trump administration today announced that it will waive 28 laws to speed construction of gates and other border-wall infrastructure in Cameron County, Texas, including areas adjacent to a national wildlife refuge. The waiver is intended to speed border-wall construction by sweeping aside laws that protect clean air, clean water, public lands and endangered wildlife. This is fourth time the Trump administration has used the REAL ID waiver. The waiver, which is to take effect Wednesday, allows the U.S. Department of Homeland Security to waive bedrock environmental and public-health laws in 11 different areas totaling 6.6 miles. Some of these segments are adjacent to the Lower Rio Grande National Wildlife Refuge and other nature preserves. Other segments run through agricultural lands and communities. Private landowners in Cameron County have already had land seized without just compensation to build border barriers. Approximately 40 miles of existing border wall already divide communities, wildlife refuges and ranchlands in the county. The Center is suing the Trump administration over its use of the long-expired waiver for border wall construction at the Santa Teresa Port of Entry in New Mexico. The Center is also appealing a federal court ruling in its lawsuit to stop the border wall replacement project near San Diego. Map by Kara Clauser, Center for Biological Diversity. This map is available for media use.